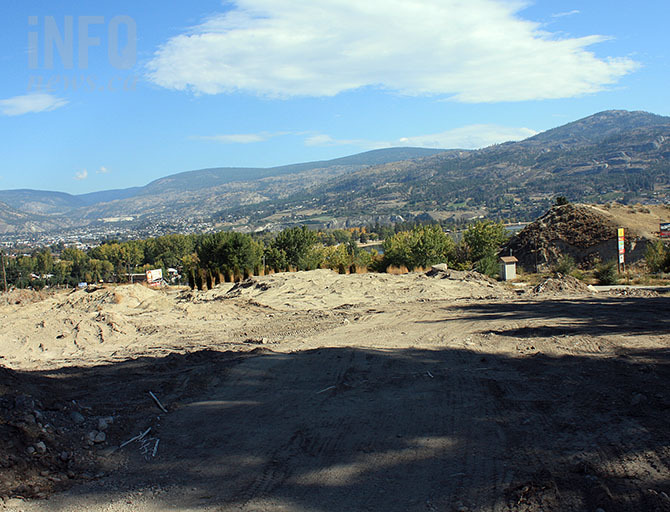 PENTICTON – Visitors and snowbirds alike will be happy to hear of a new RV park development in Penticton. Dan Selles says he will be opening a high end RV resort just off Highway 97, on the former Okanagan Amusements property his family operated, located just south of the city. Selles says the park, to be known as Holiday Hills RV Resort, will have great views of Skaha Lake, in addition to being close to the new Play Winery, a golf course and the hospital. “The name is a throwback to my dad’s campground, which was located in the 1980s and 1990s where Skaha Meadows Golf Course is today,” he says. He anticipates the resort will have 88 sites, 50 amp electrictal service along with cable and internet. “Our target market is for the big motor homes and RVs, including out of province snow birds, locals who want to downsize, or out of town workers looking for accommodation,” Selles says. A clubhouse containing storage lockers, laundry facilities, full service washrooms and a fitness centre will also constructed, with a pool and social area outside. Selles says the first phase, containing 30 sites, is expected to open in early spring, with additional sites for vacationers to use until phase two is built and sold. To contact a reporter for this story, email Steve Arstad or call 250-488-3065 or email the editor. You can also submit photos, videos or news tips to the newsroom and be entered to win a monthly prize draw. We welcome your comments and opinions on our stories but play nice. We won’t censor or delete comments unless they contain off-topic statements or links, unnecessary vulgarity, false facts, spam or obviously fake profiles. If you have any concerns about what you see in comments, email the editor in the link above. Very friendly and accommodating! One of the only parks in the area that answered their phone when we decided to stay in the area overnight. They saved us being such a big rig our options were limited. They made our visit to the area happen and we will always be grateful! Thank you Holiday Hills! My name is GEORGE DELP. Planning to attend the bridge tournament at the convention center 6/11 to 6/17. I have a 24 foot Winnebago fuse 23t. Please update on the status of your park. I will need transportation to and from the convention center (12 am to and 1030 pm back). Is there a reliable taxi service or some other form of transportation? I will need 30 amp service. How much would a pad cost? How soon do I need to book a spot?